Two models show off a grunge look made up of reconstructed clothing. 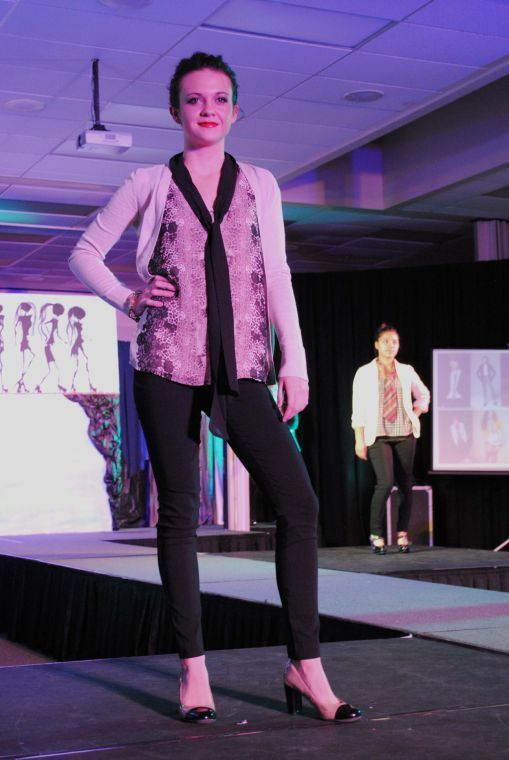 LOGAN – Bridgerland Applied Technology College’s Fashion Merchandising Program presented their fall fashion show on Thursday and Friday night. The show was called “Living on the Edge” and featured some of this fall’s hottest trends including military style, tribal print and menswear. Fashion Merchandising Department Head Colette Pulsipher thinks that the hands-on experience is important for students. “I think they learn a lot more from being involved and by really doing what they’re learning,” she said. Pulsipher explained that students do a fashion show project on paper and then collaborate together to create the fashion show. About 45 people were involved in this year’s event. Pulsipher added that the majority of their models are in high school. They also include some child models. Models must audition to be in the show. Auditions for the fall show were held in September and auditions for the spring show will be held sometime in February. Pulsipher said that as far as models go, they like to bring a lot of diversity, different sizes and looks to the runway. Buckle, JC Penney, Maurices, Old Navy, and Rue 21 provided clothing and accessories. One model shows off her camouflage ensemble. A model poses in business attire. 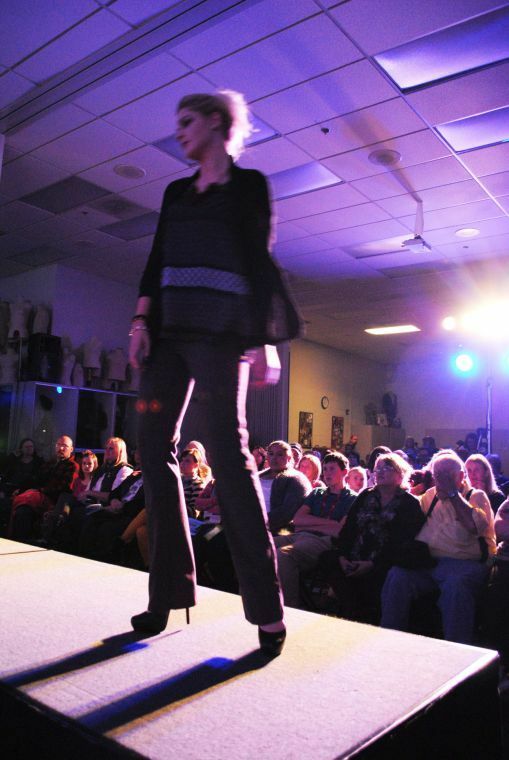 A model takes a turn in front of the crowd while walking on the runway.